It’s the month of spooktacular costumes and bags full of candy! For parents, Halloween is that time of year to let your child’s imagination run wild. But if you’re that parent who loves embracing the Halloween spirit, or is known for throwing the best-haunted party, try stepping up your game up with these fun Halloween games your little ones will love. Have some extra food cans laying around? 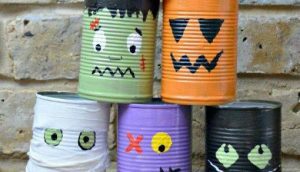 With just a little paint and some markers, turn those cans into some haunted bowling targets. Even after playing with them, give them out to your kids as haunted pets for the season, or whatever kids imaginations will find a use for them! Inspired from the classic ‘pin the tail on the donkey’, this fun Halloween game will be a delight to any Halloween themed party. Simply find a cute spider-web graphic and take it to your local office supply store to have printed as a 24”x36” poster for less than 3$. 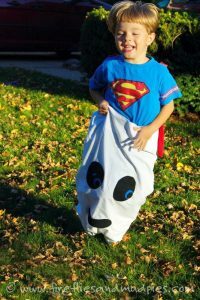 Similar to a traditional hacky-sack race, a Ghost Race uses white pillowcases decorated using black felt and tacky glue to create a boo-tifully themed race! Just be prepared for some grass stains on those pillowcases. 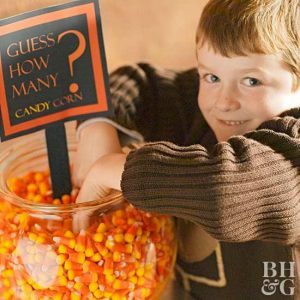 This fun Halloween game requires tedious counting but is a super fun guessing game to play over the course of days or weeks. Keep your kids guessing higher or lower every day with how many candy corns are in a filled pot until they can narrow it down. It’s math with candy corn! 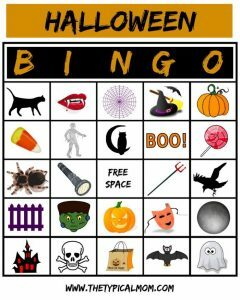 If you’re a parent who enjoys designing things, you’ll love making these fun Halloween themed bingo cards! Simply create a 5x5 grid using a computer and add your favorite Halloween themed images. Make sure to add, subtract, and rearrange the icons on each bingo card. Give your kids some crayons to mark off spaces as you draw the images from a hat, and BINGO! What better way to eat donuts than not using your hands! 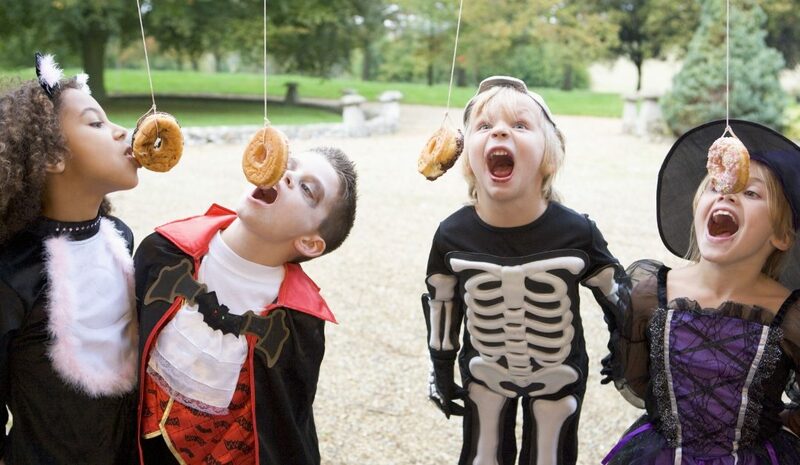 Hang some Halloween themed donuts from a tree, and on the count of three, watch each contestant try to eat their donut – the first one to finish wins! Now you have plenty of fun Halloween games to fill your kids' imaginations and time this Halloween. Fusion Early Learning Preschools use our circuit theory curriculum to create different learning experiences for related educational themes. Take the first step in making your kid a Fusion Kid by contacting us for a FREE tour of one of our early learning preschools.